Cyrille Aimée has consistently proven herself to be an unstoppable, undeniable talent in the modern age of jazz. Internationally renowned and praised for her unparalleled abilities, Cyrille's vocal stylings are synonymous with musical genius. Her culturally rich background has supplied her with the driving force of Dominican rhythm and the incredible swing of the French Gypsies. Taking these natural abilities with her across the world, she has done nothing short of receiving rave reviews and a loyal following in each country she graces with her voice. Cyrille mastered the art of improvisation while studying at the well known conservatory of jazz at SUNY Purchase, with teachers such as Pete Malinverni, Jon Faddis and Jimmy Greene. 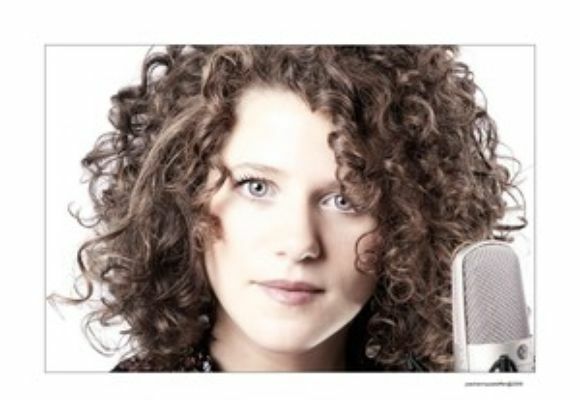 Cyrille Aimée was a finalist in the prestigious Thelonious Monk Vocal Competition of 2010, performing in front of a jury of Al Jarreau, Kurt Elling, Dianne Reeves, Dee Dee Bridgewater... In 2007, Cyrille won both the first and public prize in the Montreux Jazz Festival Competition. Cyrille's discography and musical history is an impressive list for any musician, jazz or otherwise. At the young age of 26, she has already released three CDs internationally, including "Cyrille Aimée & The Surreal Band" and "Smile" with Brazilian guitarist Diego Figueiredo currently on iTunes. Cyrille Aimée has been featured on compilations, feature film soundtracks across the globe and on the albums of Denis Chang and David Reinhardt. She fronted France's latest worldwide sensation 'Caravan Palace' on their European tour and performed in front of crowds that number over 10,000 people. features Roy Hargrove and Joel Frahm and was realeased under the label SmallsLIVE Records. Cyrille currently lives in Brooklyn and regularly performs in Manhattan with legends of the East Coast jazz scene. She can be found any given day in the historic jazz clubs of NYC, including Smalls Jazz Club and Dizzy's Club, with musicians like Joel Frahm, Steve Davis, Spike Wilner, Tom Kennedy and Anat Cohen among many others.